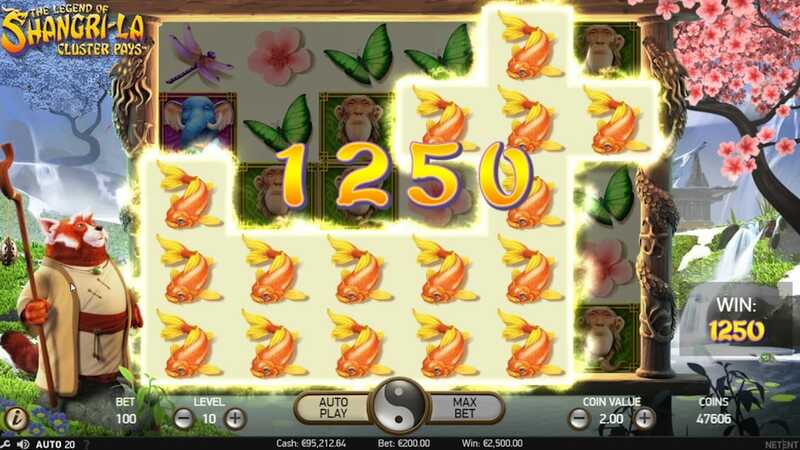 Here's a superb new online slots from NetEnt that you can enjoy. Whenever someone tells you to play Asian-themed casino games, you would immediately think of ominous karate music, wild Eastern dragons, and the colour red splashed across your screen. However, there is a calmer and more tranquil side to oriental culture. There are many stories and places that the public wouldn't believe exist today. And the Legend of Shangri-La is certainly a mythical paradise that exists on your laptops, tablets, and smartphones today! As one of the big casino gaming giants in today's world, NetEnt has made the success in developing products that are easy enough for players to have fun on, not to mention to stay on for hours on end! From the first day, they have established themselves in the casino industry, they have been producing and publishing games that can be adapted to any device the players use without any hard effort. So, all of their consumers can make big winnings at any place, or at any time of the day. Every one of their products has a different theme that can win the hearts of a high number of players that like action, romance, adventure, history, and so on. And with this online slot game, NetEnt has done a grand job of retaining players that have become immersed in both the gameplay and the story itself! Due to the fact that most of the products that the developers have made fall under the slot category, they have decided to turn the tables a bit and publish the Legend of Shangri-La as a cluster pay game instead. Don't worry, though. With the green pastures placed in the background, along with the basic 5x6 grid that players can easily view, you will be able to get through this game like a breeze even if you haven't played a cluster pay game before. The objective behind the game is to get 9 identical symbols on the board that will get you the winnings that you're looking for. the basic symbols come in the form of fishes, petals, butterflies, and dragonflies that would come in alignment on the board, with the wise red racoon standing right next to them. 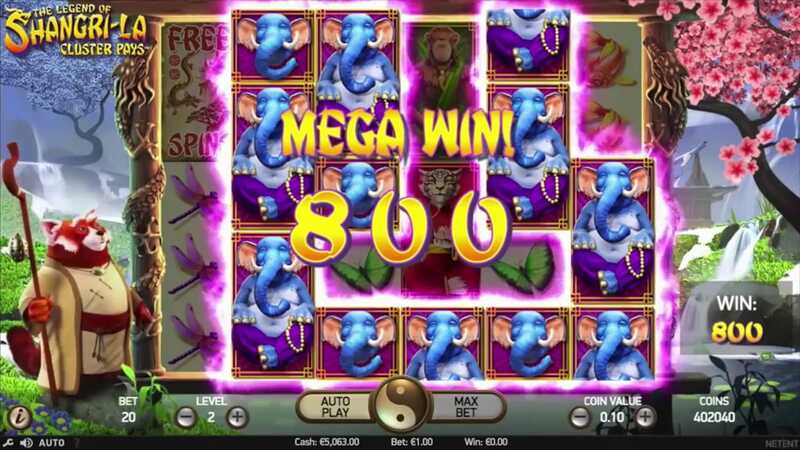 If you're lucky enough to come across the 3 praying monkeys, elephants, or cats on the board, they will cover 2 tiles and boost your winnings even more, as well as the free spins logo that will give you with another free round. Don't forget to watch out for the big question mark that could appear, as this is a WILD symbol that can substitute 2 clusters of the same icon. The Legend of Shangri-La certainly lives up to its name when it comes to making players get into their zen mode and win big prizes. It's different to many of the Asian-themed games that you'd come across today, but it doesn't make it less attractive or boring when you want to play a cluster pay product. This game by NetEnt is one that you can happily play while you sip on your green tea, so don't forget to load this game up on your device once you get back home today!